If you are into Horror & Sci-Fi, and need tales from the shoppe...this is it! Strange tales & goings on from the best Horror store in the mid-west! She later described that summer in Switzerland as the moment "when I first stepped out from childhood into life". The story has been fictionalized several times and formed the basis for a number of films. The first film adaptation of the tale (a brief 16 min. ), Frankenstein, was done by Edison Studios in 1910, written and directed by J. Searle Dawley, with Augustus Phillips as Frankenstein, Mary Fuerte as Elizabeth, and Charles Ogle as the Monster. 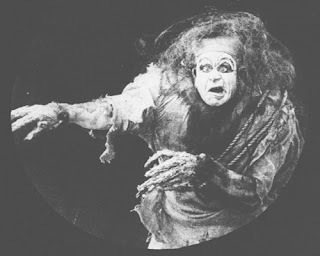 There was also at least one European film version, the Italian Il Mostro di Frankenstein ("The Monster of Frankenstein") in 1921. 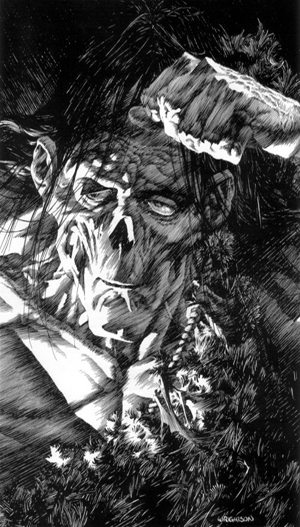 The film's producer Luciano Albertini essayed the role of Frankenstein, with the creature being played by Umberto Guarracino, and Eugenio Testa directing from a screenplay by Giovanni Drivetti. The film is also now considered a lost film. 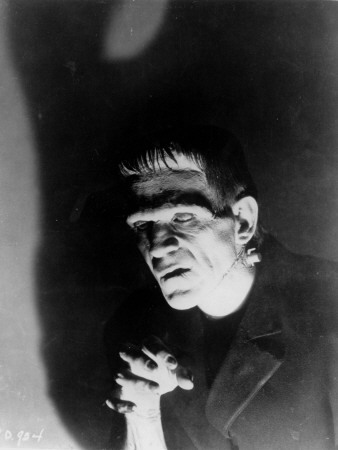 The most famous adaptation of the story, 1931's Frankenstein, was produced by Universal Pictures directed by James Whale, and starred Boris Karloff as the monster. Karloff would reprise the Monster role in two of the sequels; Bride of Frankenstein (1935) & Son of Frankenstein (1939). The James Whale directed film Bride of Frankenstein also featured actress Elsa Lanchester portraying both Mary Shelley and the Bride. Lon Chaney Jr., would fill the Monster’s shoes in the sequel Ghost of Frankenstein (1942), starring along side Bela Lugosi as Ygor. Lugosi who turned down the role of Frankenstein’s Monster would don the neck bolts in the crossover movie Frankenstein Meets the Wolf Man (1943). In both House of Frankenstein (1944) & House of Dracula (1945), the role of Frankenstein’s Monster was played by stunt man Glenn Strange. In Great Britain, the Frankenstein story would be adapted by Hammer Films. The Curse of Frankenstein (1957) was the first British Gothic horror film made by Hammer, starring Peter Cushing as Victor Frankenstein and Christopher Lee as the Monster. Hammer would make a series of Frankenstein films many of which were stand alone films with different actors portraying the Monster or “Creature”, and starred Peter Cushing as Victor Frankenstein. The Revenge of Frankenstein (1958) – two creatures Michael Gwynn & Peter Cushing, The Evil of Frankenstein (1964) – Kiwi Kingston, Frankenstein Created Woman (1967) – Susan Denberg, Frankenstein Must Be Destroyed (1969) – Freddie Jones, The Horror of Frankenstein (1970) – David Prowse, and Frankenstein and the Monster from Hell (1974) – David Prowse. 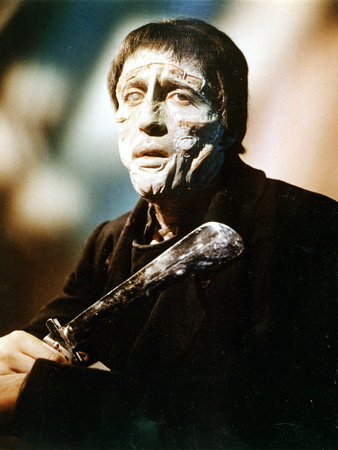 In 1959, Hammer shot a half-hour pilot episode for a TV series to be called Tales of Frankenstein, in association with Columbia Pictures. Anton Diffring played the Baron, and Don Megowan his creation. Curt Siodmak directed. The series was scrapped, largely because of the two companies' disagreement over the direction of the show. In 1957, American International Pictures (AIP) released the low-budget I Was A Teenage Frankenstein. Whit Bissell stars as Prof. Frankenstein, Gary Conway plays the creature. A follow-up, How to Make a Monster, was released in July 1958. This film featured actor Gary Conway as an actor playing the Teenage Frankenstein in a film. In 1958, Boris Karloff would return to the name Frankenstein in a wildly differing adaptation. The film Frankenstein 1970, focused on the themes of nuclear power, impotence, and the film industry. Boris Karloff stars as Dr. Frankenstein, who harvests the bodies of actors to create a clone of himself using his nuclear-powered laboratory. His intention is to have this clone carry on his genes into future generations. This year also brought the bizarre Frankenstein’s Daughter, in which modern descendant of Frankenstein Donald Murphy experiments with a Jekyll/Hyde type of serum before stitching together a grotesque female creature. In 1966, Toho, known for their Godzilla and man-in-suit monster movies, made the film War of the Gargantuas, a sequel to Frankenstein Conquers the World (although this is obscured in the US version), with the Frankenstein Monster's severed cells growing into two giant humanoid brother monsters: Sanda (the Brown Gargantua), the strong and gentle monster raised by scientists in his youth, and Gaira (the Green Gargantua), the violent and savage monster who devours humans. The two monsters eventually battle each other in Tokyo. In 1970, Dracula vs. Frankenstein by Al Adamson, an extremely low-budget horror thriller, stars aged film stars J. Carroll Naish and Lon Chaney Jr. In the film, Count Dracula (Zandor Vorkov) has the last living descendant of Frankenstein (Naish) revive his famous ancestor's creation (played by John Bloom). Frankenstein (the Monster) and Mary Shelley’s story would continue to be adapted in many medians and influence generations to come. Next year, Frankenstein’s monster will return to the big screen in “I, Frankenstein” starring Aaron Eckhart as the Monster. The film is an adaptation of the graphic novel that is influenced by Mary Shelley’s novel. You’ll find many versions of Frankenstein’s Monster at Horrorbles and in many shapes and sizes…Lee, Karloff, and everything in between! 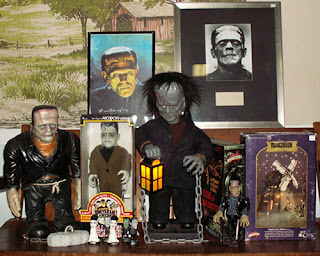 Toys, shirts, collectibles, and movies…Frankenstein is alive, ALIVE!, and continues live on through the imaginations of readers and moviegoers.